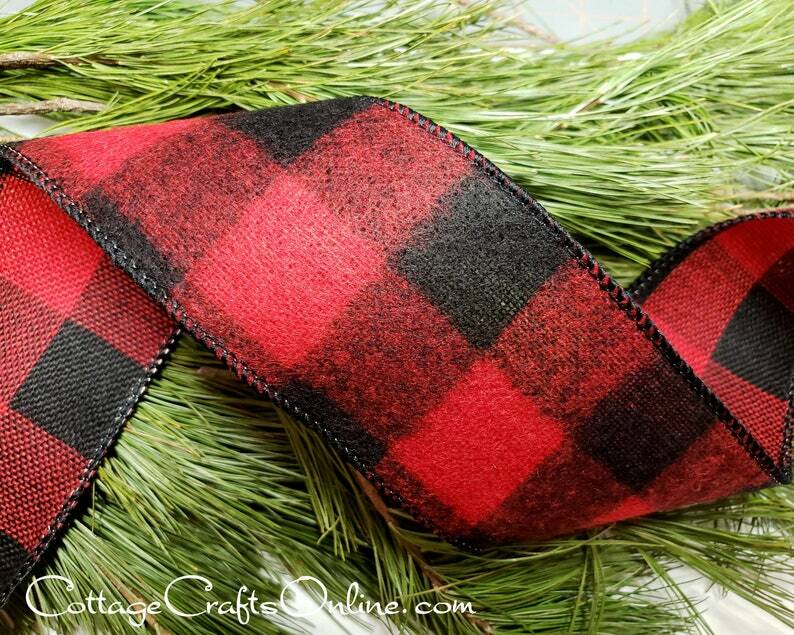 Larger scale red and black buffalo plaid check flannel ribbon, 2 1/2" wide, with black thread covering the wired edge. PLEASE NOTE: The ribbon fabric is cut from a wider bolt and the pattern will vary from roll to roll, your yardage may not match the pictures in the exact placement of the check. RETURN POLICY: Please choose carefully. Orders for seasonal ribbons, including this item, cannot be cancelled or returned.